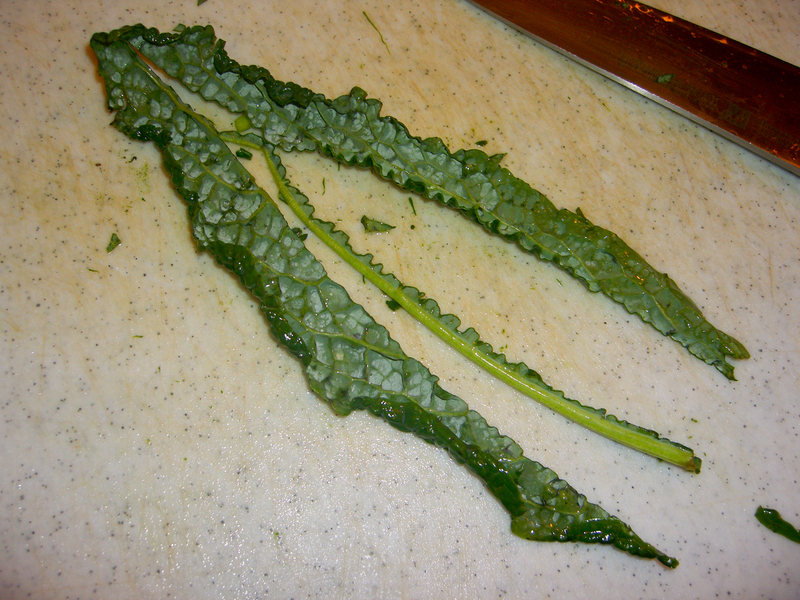 There are many different kinds of kale, but I’d say the two most common varieties are Curly and Lacinato (also known as Dinosaur kale…look at it and you will figure out why). 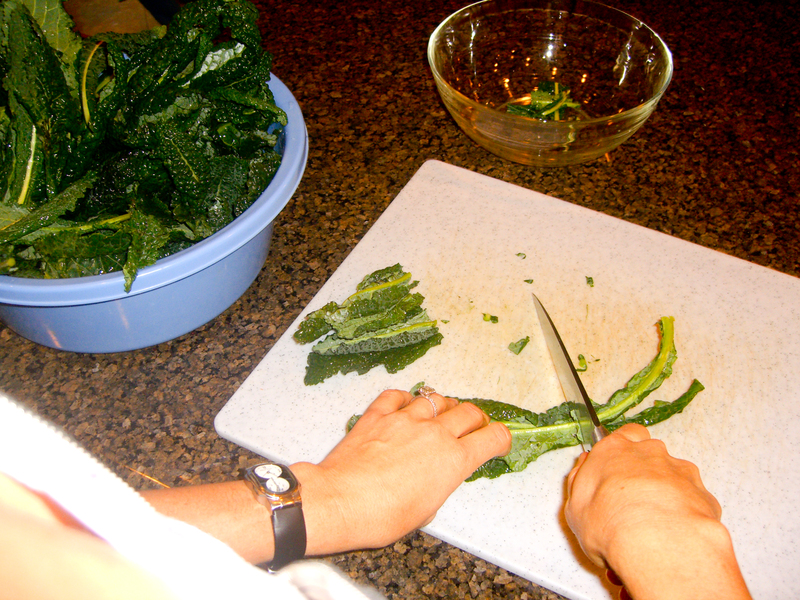 Or you can place the kale face down on the chopping board and cut off the spine (more work). You would then line up the kale dog-pile style and start chopping. 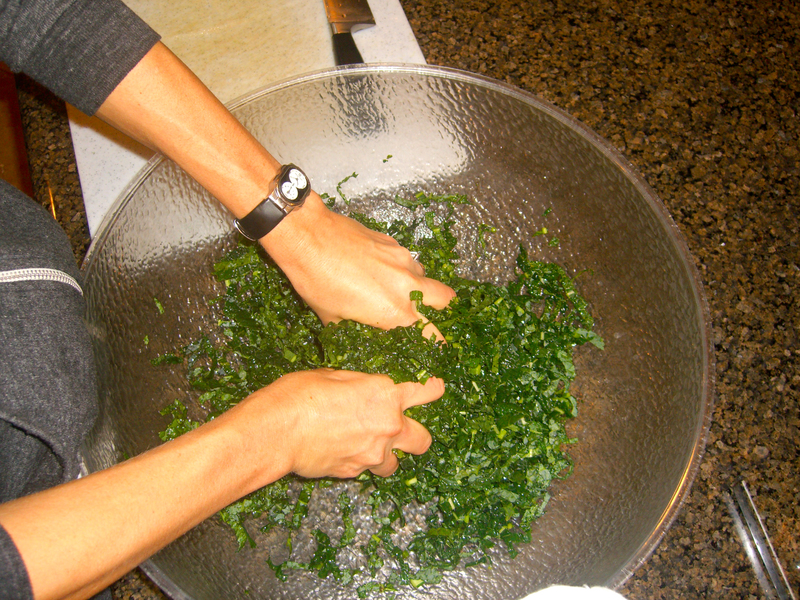 Once you have chopped all of the kale, it is a good idea to put it through the salad spinner to get rid of any excess liquid. 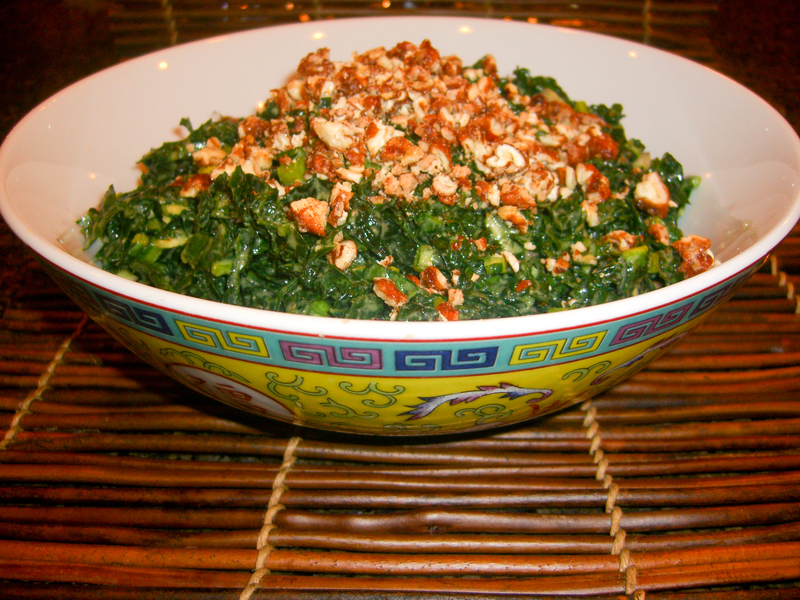 When the kale is good and dry, place it into a big bowl. I bought this salad bowl a few years ago at Party City (of all places) and I use it all the time. I love having a huge bowl so I don’t have to worry about making a huge mess. 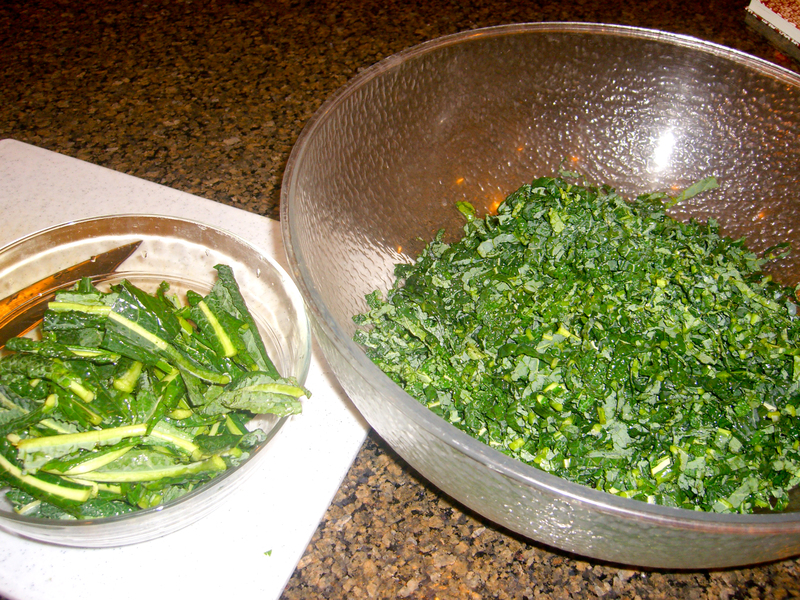 Add the citrus juice, olive oil, vinegar, red onion, and some salt and pepper in with the kale (don’t go overboard with the salt and pepper…you can adjust the seasoning at the end). 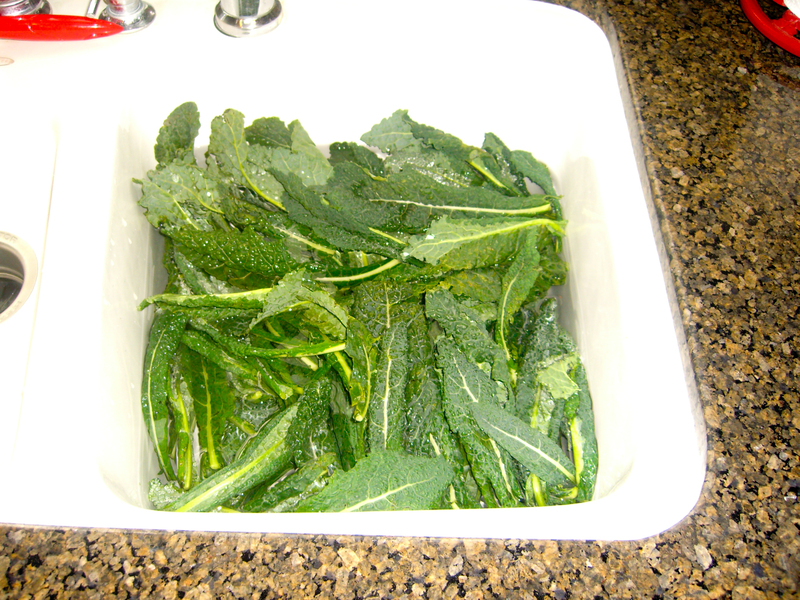 Now it is time to mash and smoosh the kale. Get in there with your hands and get messy. You don’t have to be gentle with it, remember it is tough. Mash for a few minutes and then leave it in the bowl to marinate (for as little as 10 minutes to as long as overnight…it doesn’t get soggy like other salads tend to). You will be amazed by how much the salad has decreased in size. It will be atleast 1/2 the size it was before you marinated it. Right before you are ready to serve the salad chop up the avocado and add it in to the bowl. When I made the salad tonight this is when I also added in the red onion…woops…I usually make it like I said in this post and add the onion in when it all marinates since it makes the flavors stronger. Smash it all up again with your hands. 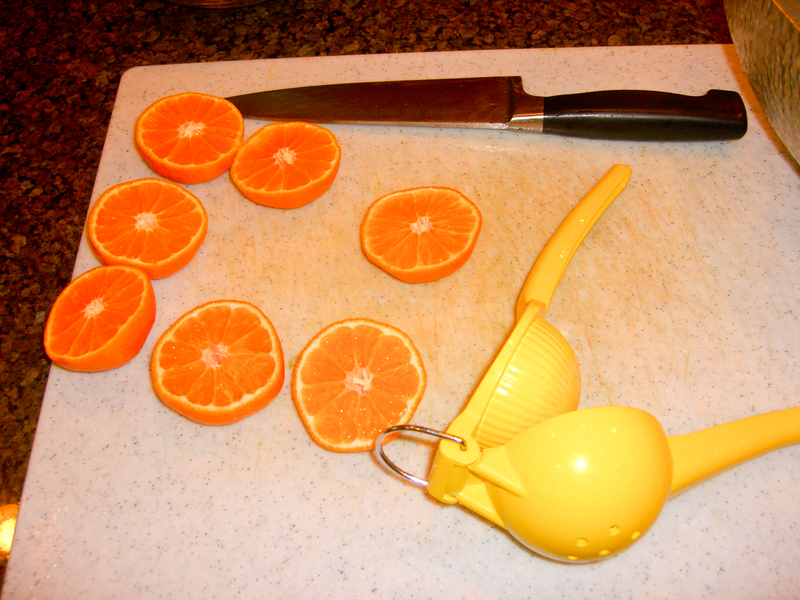 This is what it going to give the salad that nice creamy taste. 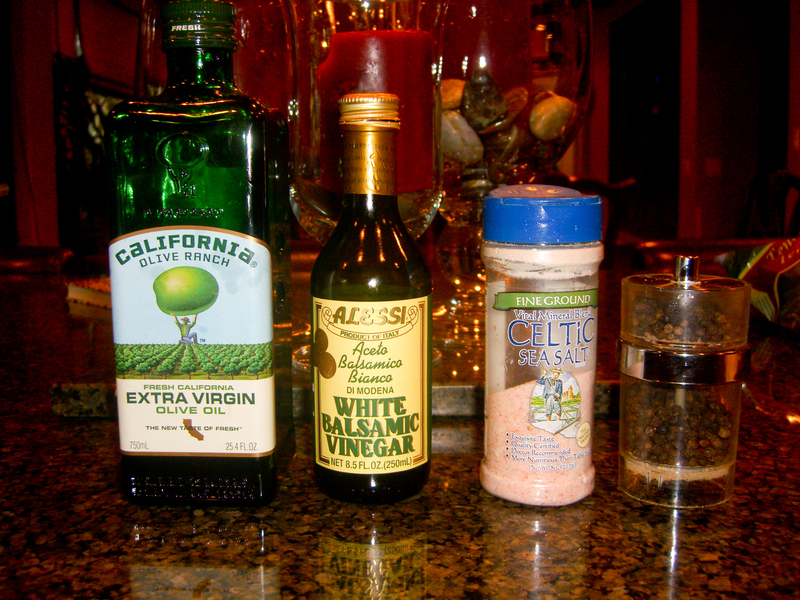 At this point taste the salad, you may have to make some flavor adjustments by adding more balsamic vinegar, salt, or pepper. Top the salad with the chopped nuts and dried cranberries. My son had two servings of this salad tonight. 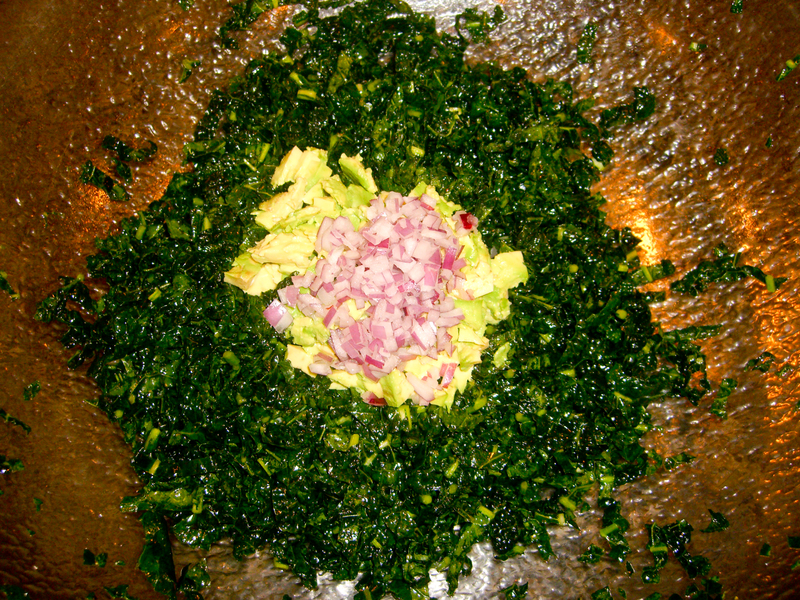 OK…now I am craving greens….loaded with vitamins. I am heading out to the store today. Thank you for the great recipe. THANKS!! 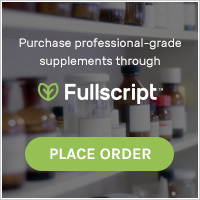 I LOVE my greens, but I usually saute them…so this was something new. We all loved it…mu husband is taking the recipe to the fire station…I’ll make sure he gives YOU credit! !